This is an adaptation of okra stew for Western kitchens. 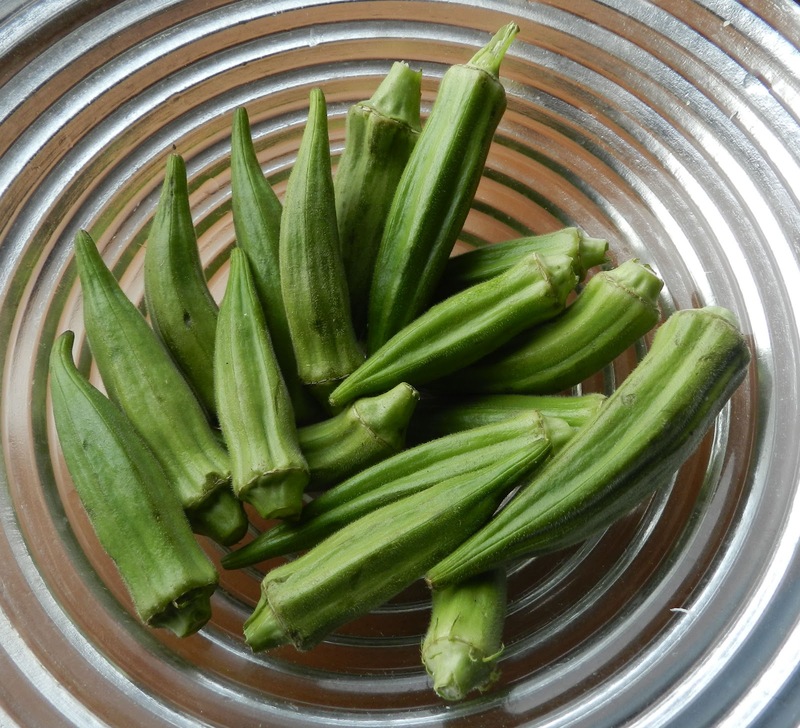 Okra is called "gombo" in Duala language (like "Gumbo" in the United States; the word arrived with the African slaves that were brought to the country). Sauté chopped onions; add turkey or beef cut in pieces. Add chopped okra (part can be put in a blender with the tomatoes if preferred), crumbled bouillon cube, salt (not too much because of the bouillon cube and possibly salt in the turkey and peanut butter), pepper and some water; dilute peanut butter with some water and add to pot. Add hot pepper (whole) if desired. Cook over medium heat (after liquid boils) for about 45 mn – 60 mn, stirring regularly, and if necessary adding more water. The peanut butter has a tendency to stick to the bottom of the pot. Taste and season. If you put in a hot pepper, it will be safer to remove it when the sauce is done. Hot pepper gets ever hotter as time goes on! Serve with boiled plantains (green or yellow) or cooked rice. Sometimes I add corn, which an African may find heretic. In Cameroon, this dish is sometimes made with dried fish; and Cameroonians usually like their okra sauce extra-slimy! The above recipe, however, is not slimy; don't worry!